Jimmy Lin Causes a Flight to Delay? 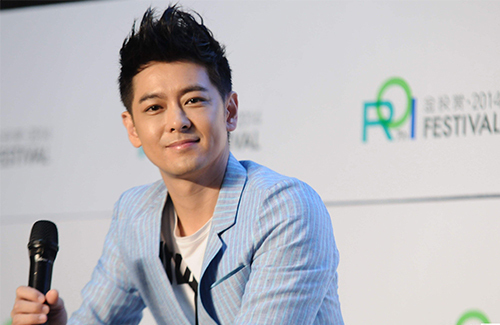 Taiwan’s top 90’s idol Jimmy Lin (林志穎) is well-loved by fans even after over 20 years in the industry, but a recent mishap on a flight has caused the Taiwanese actor to receive a few complaints from several passengers. On November 29, Jimmy boarded a Cathay Pacific flight in Hong Kong en route to Taiwan. Moments after the final boarding was announced and when all passengers were seated, Jimmy asked for his checked-in luggage. According to the report, Jimmy’s flight was delayed half and hour so his assistant could retrieve his items. According to Cathay Pacific, the doors closed at 10:56 p.m., and the expected take-off time, after a few minutes of delay, was 10:58 p.m. Expected time of arrival to Taipei was 12:32 a.m. There were no long delays. It’s true that after boarding, [we] discovered that we have forgotten an important item. I then asked my assistant to exit the plane to retrieve the item. The flight was still able to close the cabin doors in time, and my incident alone did not cause any changes to the flight’s take off and landing. We even arrived at the destination a minute before scheduled. I did not use privilege, nor do I have privilege. Please remember to hold onto your belongings, please remember to hold onto your belongs, please remember to hold onto your belongings – this is so important that repeating it three times is necessary. Thank you for your supervision. 5 comments to Jimmy Lin Causes a Flight to Delay? Flight tend to be delayed and able to make up for lost time as they speed up in the air, however, waiting for the flight to take off is rather excruciating, especially if you have connecting flight, and to be able to make the time or not is up in the air (wind, weather condition, etc). So while Jimmy might see that the plane arrived on time mean no problem, it’s not entirely true, and rather bratty to assume since we land there on time, no problem cause (I’m just back on my trip and my plane was 20mins delay with everyone waiting inside the plane for take off, and we were 20mins early, but the 20mins wait was seriously tiredsome, since you can’t really move). And to be quite frank, if a common joe just ask to get his item from his check in luggage, I’m pretty sure Cathay would tell them no way. Hell, they even cancel my connecting flight because we were 15mins late on landing (my airport was full at the run way, so our plane has to wait in line to take off), and our next plane was still 45mins away from take off. But Cathay policy for transfer was no, cant do if connecting flight was less than 1hr, yet they dare sell us the ticket with 1 hr transit time! And there were 10 of us that got stuck in that situation! TLDR: Jimmy is a brat and can’t see what he did wrong. And don’t go with Cathay if there is a 1hr transit! I agree and he is getting privileges due to his star status but is denying it. But it is not the first time that any celebrity denies things so why are we shocked? He used to be popular but is now not so great but still gets special treatment. I guess once a star always a star unless you keep a low profile which he has not as he exploited his son on that one show. @hetieshou not shock at all. My point was he’s bratty for not seeing how other passengers were not happy with him. His apology shows how much of a brat he is. Yes that is true that he must be a spoiled brat to not even realize that others are mad at him. I guess he thinks he can do what he wants. A grown man that is acting like a kid that is above all. How sad and inconsiderate. part of being on time for take off is closing the cabin doors way ahead of liftoff. after taking plane for many years, i learned that the flight crew do not and definately would not hold off on closing those darn doors so that so and so could catch a plane, or reopen it so that somebody wouldn’t miss their flight. i really doubt that if it wasn’t for his star status, he’d gotten this treatment. maybe if he had forgotten a child they’d let him retrieve, definitely not an item.